Ashampoo has kindly offered our Dave’s Computer Tips readers a chance to win a copy of their Driver Updater program. We have 10 licenses to give away in this contest. Each one is currently valued at $29.99 and they are good for one year from the time of installation and can be used on three PCs. At the time of this writing, there is a discount price of $19.00 being offered so you can save some cash on your purchase. Or, you can enter this giveaway contest and maybe win a free copy? This contest will be active beginning on April 3 and will end at midnight on April 25, 2019. 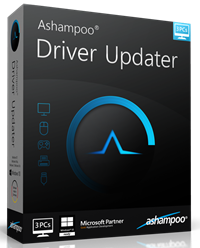 You can read all about it and enter the contest at this Ashampoo Driver Updater Review & Giveaway page. Enter now to win! !